Several studies have been conducted focusing on marijuana’s potential to treat and ease symptoms associated with multiple sclerosis – a disease that affects the central nervous system, often causing daily pain and difficulty moving, speaking, and swallowing. A new study adds even more insight into how MS patients can use marijuana, finding that cannabinoids within the vilified healing plant can help treat multiple sclerosis-like diseases by preventing inflammation in the brain and spinal cord. The study, published in the Journal of Neuroimmune Pharmacology, set out to see if the anti-inflammatory compounds in marijuana known as tetrahydrocannabinol (THC) and cannabidiol (CBD) could be used to treat the inflammation associated with MS. Using immune cells isolated from paralyzed mice, the researchers used THC or CBD to determine how these compounds affected the production of inflammatory markers, specifically one called interleukin 17 (IL-17). This inflammatory marker is strongly associated with MS and is harmful to nerve cells. 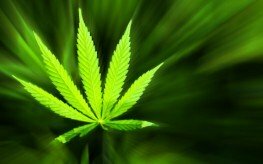 “The presence of CBD or THC restrains the immune cells from triggering the production of inflammatory molecules, and limits the molecules’ ability to reach and damage the brain and spinal cord,” wrote the researchers, finding the amount of IL-17 was far fewer in mice treated with the cannabis compounds. This isn’t the first clue that marijuana could hold treatment options for inflammatory conditions. It’s already being used, legally or otherwise, by countless people for the treatment of pain and muscle stiffness associated with inflammation. Mice suffering from MS-symptoms were treated with CBD and went from being partially paralyzed and immobile to walking with a limp. These mice had less inflammation in their spinal cord than those untreated. Research on CBD is particularly exciting because it offers the benefits of cannabis without the psychoactive effects. In other words, when isolated from other compounds in the plant, it won’t get you “high”. Add to this the fact that there are few, if any, known side effects of treating with CBD and this and other studies are extremely promising. I am an MS patient and was diagnosed only 3 yrs ago. I “illeagely” take marijuana for severe leg pain rather than go on morpheine or similar pain killers. It dosent take much, and the relief is almost instant. And NO I dont get high every day on dope, though if I was to have endone or codeine or the like, I would be totally unable to function. Whereas with the marijuana, I am still able to function fully within my MS limitations pain free. That is good to hear, Barbara. I have had MS for at least 5 years, and I am not at a point where I need cannabis, but that day may come. Never into but would try?